I've been using Nutrachamp's Omega 3 Fish Oil (3,600) which is available on Amazon. A lot of fish oil is heavily processed, which causes it to lose nutritional value. Look out for labels that include "wild caught" to make sure they aren't fancy placebo pills'. @Andres1978 I have taken the whole stack, and although it did help, I continued to look for more effective options after my supply ran out. I have tried Mucuna Pruriens, Curcumin, Fish Oil, St Johns Wort, Acetyl L Carnitine, Mementine, a B Complex, Mood boosting probiotics, Agmatine, a mood boosting supplement (Sunny Mood), and Mirtazapine. Unfortunately, the most effective drug for emotions was the prescribed one. I responded to Mirtazapine only after clearing my inflammation with Curcumin. Yes these can all be found on Amazon. I would recommend curcumin (with black pepper) and fish oil supplements. They have drastically improved my brain functionality and made me responsive to dopmaine agonists. I'm slowly getting my feelings back. Good luck. Initially, Agmatine worked well for me but started to lose it's potency over time. I'm now using Memantine as an NMDA antagonist. I've been taking the stack I mentioned for about a month and it's caused definite improvements in cognition. I feel more activated, present, and mentally clear now. However, there's not much change in terms of emotionality so I started on another anti inflammatory supplement. Fingers crossed. Hey guys, I wasn't aware that I wasn't allowed to include links in my posts, so feel free to PM me for the links if you want. I've struggled with MDD and anhedonia for the past 6+ years. I am experiencing brain inflammation and a dysregulation in neuronal signaling due to chronic stress. Despite the fact that there are a host of studies that implicate glutamate (not serotonin or dopamine) in the pathophysiology of depression: [link removed] this type of depression is largely ignored by medicine. This youtube video does an excellent job of breaking this all down: [link removed] [link removed] This glutamatergic hyperactivity causes neuronal degeneration, compromising how glutamatergic cells excite the regions of your brain involved in emotion, reward, and pleasure: Hence, the emotional blunting, lack of energy, disinterest, amotivation, etc. I've read many studies that suggested NMDA (glutamate) receptor antagonists like ketamine, memantine, and MK-801 are highly effective in reversing the symptoms of depression. To test this theory, I bought an over the counter NMDA receptor antagonist, Agmatine. About an hour after taking it, I noticed a lift in my energy, mood, and mental clarity that no prescription drug (Wellbutrin, Remeron, Lexapro, etc) had given me. I had no response to these prescription drugs because they were all targeting the wrong mechanism. I now understand that my brain lacks the ingredients necessary to heal itself from chronic inflammation. You can read more about the effects of inflammation-induced depression here: [link removed] . Now, after doing some research into what molecules work best, I've developed a stack of supplements that are meant to eradicate this type of depression on a multimodal level: DHA-500 (500 mg, 2X per day): An omega-3 fatty acid that reverses inflammation and enhances neuronal communication. Acetyl L-Carnitine (1000 mg): An antioxidant that helps enhance cognition, reduce inflammation and elevates mood. Activated B-Complex (1 tablet) Vitamin complex that provides a sustained boost in mental and cellular energy. Agmatine (500 mg): Molecule that reverses glutamate-induced excitotoxicity. I haven't tried them all at once yet, but I'm too excited to wait until I do to share this. I know the title is a bit sensationalist because I haven't actually figured out if this will treat anhedonia, but my goal is to raise awareness of this mechanism that I feel is a very important piece of the puzzle. Modern treatment is heavily based on the monoamine hypothesis of depression, which although significant, is not all-encompassing. Feel free to share your experiences with these supplements and contact me if you have any questions and concerns. Best of luck. I've been diagnosed with MDD and experience anhedonia in the same way you do. You may be experiencing brain inflammation and a dysregulation in neuronal signaling due to chronic stress. Despite the fact that there are a host of studies that implicate glutamate (not serotonin or dopamine) in the pathophysiology of depression: [link removed] , this type of depression is largely ignored by medicine. This youtube video does an excellent job of breaking this all down: [link removed] [link removed] This glutamate dysregulation affects how your frontal lobe communicates with the regions of your brain associated with emotion and pleasure. Resulting in lethargy, emotional blunting, anhedonia, poor appetite. and a host of other symptoms. There are many studies that suggest NMDA receptor antagonists like ketamine, memantine, and MK-801 are highly effective in reversing the symptoms of depression. To test this theory, I bought an over the counter NMDA receptor antagonist, Agmatine. About an hour after taking it, I noticed a lift in my energy, mood, and mental clarity that no prescription drug (Wellbutrin, Remeron, Lexapro, etc) had given me. They were all targeting the wrong mechanism. I now understand that my brain lacks the resources necessary to heal itself from chronic inflammation. Please read more about the effects of inflammation-induced depression here: [link removed] Now, after extensive research, I've developed a stack of supplements that are meant to eradicate this type of depression on a multimodal level: DHA-500 (500 mg, 2X per day): An omega-3 fatty acid that reverses inflammation and enhances neuronal communication. Acetyl L-Carnitine (1000 mg): A powerful antioxidant that enhances cognition, reduces inflammation and elevates mood. Activated B-Complex (1 tablet) Provides a sustained boost in mental and cellular energy. Agmatine (500 mg): Reverses glutamate-induced excitotoxicity by antagonizing NMDA receptors. I haven't tried them all at once yet, but look forward to seeing how this helps my mood in the next coming days. Happy camping and I hope this helps. I've been diagnosed with MDD and experience anhedonia in the same way you do. I've done a lot of research over the past year and a half to understand what was going on, and I finally just recently started to get on the right track. You are experiencing brain inflammation and a dysregulation in neuronal signaling due to chronic stress. Despite the fact that there are a host of studies that implicate glutamate (not serotonin or dopamine) in the pathophysiology of depression: [link removed] this type of depression is largely ignored by medicine. This youtube video does an excellent job of breaking this all down:,[link removed] [link removed] . This glutamate dysregulation affects how your frontal lobe communicates with the regions of your brain associated with emotion and pleasure. Hence, the anhedonia. There are many studies that suggest NMDA receptor antagonists like ketamine, memantine, and MK-801 are highly effective in reversing the symptoms of depression. To test this theory, I bought an over the counter NMDA receptor antagonist, Agmatine. About an hour after taking it, I noticed a lift in my energy, mood, and mental clarity that no prescription drug (Wellbutrin, Remeron, Lexapro, etc) had ever given me. They were all targeting the wrong mechanism. I now understand that my brain lacks the resources necessary to heal itself from chronic inflammation. Please read more about the effects of inflammation-induced depression here: [link removed] Now, after extensive research, I've developed a stack of supplements that are meant to eradicate this type of depression on a multimodal level: DHA-500 (500 mg, 2X per day): An omega-3 fatty acid that reverses inflammation and enhances neuronal communication. Acetyl L-Carnitine (1000 mg): A powerful antioxidant that enhances cognition, reduces inflammation and elevates mood. Activated B-Complex (1 tablet) Provides a sustained boost in mental and cellular energy. Agmatine (500 mg): Reverses glutamate-induced excitotoxicity by antagonizing NMDA receptors. I haven't tried them all at once yet, but look forward to seeing how this helps my mood in the next coming days. Happy camping and I hope this helps. @uncertain1 I can't recall anything from my childhood that could've caused abnormal brain development. It's possible that I was able to experience pleasure at one point, but have been depressed so long that I don't remember what it's like. The years of untreated depression may have caused a severe change in my brain circuitry, but to be honest, I just don't know. The MDD/anhedonia connection makes the most sense at this point, so I think treating the depression might be my best bet at solving this issue. @uncertain1 I've been taking Rhodiola Rosea for the past week or so and unfortunately haven't noticed any changes. On the first day, I stupidly took 500mg on top of my 300 mg Bupropion dose, and it led to a pretty adverse reaction (dizziness, nausea, headache, etc.) for the rest of the day. 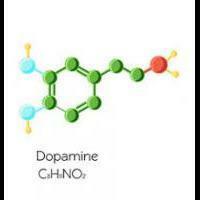 Its essentially the same dopamine agonist action as the Bupripion so I think its ineffective with me specifically. I've done some research that suggests that curing the depression itself will cure the anhedonia (not the other way around) since anhedonia is a symptom specifically tied to MDD. If you wanna read about that, you can check it out here . I'm going to ask my psychiatrist to switch me to Mirtazapine. It's an SNRI so it doesn't have any of the emotional blunting or sexual dysfunction side effects usually associated with SSRI's, and is apparently pretty effective at treating MDD. Fingers crossed for this one. My experience with dopamine deficiency has been particularly unusual. For as long as I can remember, I’ve been very unemotional. People have always told me I have a very “cool” and “laid back” demeanor. I never completely understood what this meant because I was just acting in a way that was most natural for me. I’ve been told that I emote very subtly- sometimes not at all. Although there are people I care deeply for, I have never felt a profound sense of “love”. Not even for family members or significant others. I was often disturbed by the degree at which I felt nothing, but I really didn’t know what to make of it. I thought it was just how I was. In addition, I have trouble staying focused and lose interest in things easily. I’ve never really had an appetite, and don’t find eating enjoyable -It only recently dawned on me that this is abnormal. My experience with drugs has been unusual as well. During finals week, I took 30 mg of Adderall to stay up all night and write a paper. It helped me stay awake, but I didn’t notice a difference in concentration. I’ve taken MDMA (serotonin agonist) with a partner who began showing signs of non-lethal overdose such as sweating, vomiting, and short-term memory loss. He was an experienced drug user and had enough chemical in his system to cause this adverse reaction, while it was my first time and I felt nothing (maybe a little floaty at best). I don’t use psychoactive drugs regularly because I don’t experience euphoria. I didn’t have an explanation for any of this until I became sexually active. ( Sorry: Sexual Content Warning): While I was sexually active with a partner, I climaxed multiple times. Although this is supposed to be a very intense, pleasurable experience, I didn’t feel that much different. I knew it was happening, but there was no euphoria, no explosion, no intensity. I could climax and not know it at all. At this point, I knew something was wrong. I did some research and found that I have sexual anhedonia, which is apparently caused by a dopamine deficiency. 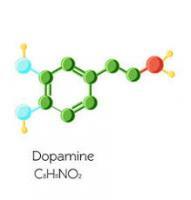 After looking up the symptoms of dopamine deficiency, I found that many of them applied to me. I figured I was just born with this deficiency since my symptoms (as far as I knew) never emerged suddenly. I went to a Psychiatrist in hopes of getting prescribed a Dopamine Agonist. Although I had cognitive and behavioral symptoms of low dopamine (low motivation, low energy, attention problems), she didn’t think I was depressed because I wasn’t suicidal, I'd never self-harmed, and I didn’t feel excessively hopeless, sad, or self-hating. I can function normally, but it takes much more effort for me than the average person (i.e eating, studying). She thought Bupropion would help with energy and cognition. I took 150 mg a day for about 2 weeks and didn’t notice any effects. When I went back, I was prescribed a moderately high dose of 300mg, and still noticed no change two weeks later; at this point, I was very frustrated and confused. Last Tuesday, I was bumped to the highest dose of 450 mg, which I took for the first time yesterday, and still felt absolutely nothing. I received a blood test a few days ago that diagnosed me with Major Depression. I’d been depressed for years; maybe even most of my life, and didn’t know it. The degree of nothingness I feel is unsettling, but I'm not excessively distressed by it because I've always been like this. I don't really know what feeling to a normal degree is like. I am convinced that my Nucleus Accumbens (neurological pleasure center) is completely desensitized to Dopamine, and possibly Serotonin but I don’t know why. People with major depression respond to dopamine agonists so why am I different? I’ve been frantically searching for unconventional solutions since flooding my synapses with dopamine doesn’t work. I heard that Rhodiola Rosea can help resensitize neurons. If that doesn’t work, I’m considering Memantine, which upregulates DA receptors by acting as an antagonist on NMDA (Glutamate) receptors. Any comments/insights/similar experiences welcome Thanks!